Colourific Packs contain colour themed papers from a mix of our Screen Printed, Glitter, Flocked and Foiled range of papers and are sold in handy, crafty packs. Each pack contains a mix of styles and patterns, with each pack being the same. 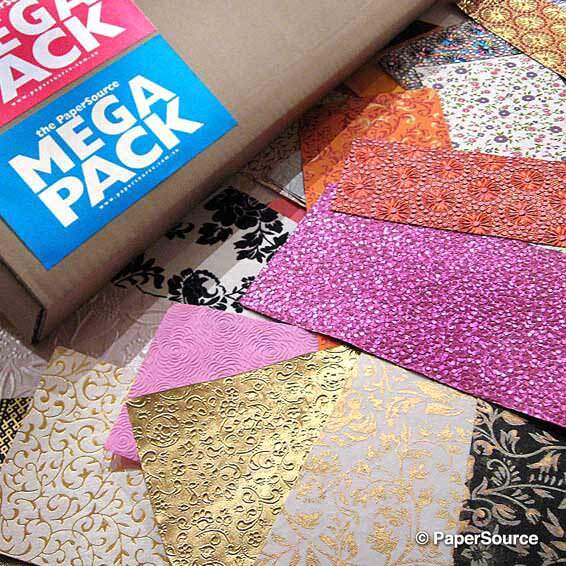 Perfect for scrapbooking, card making, collage, general craft and hobbyists looking for lots of variety in one pack. A great Cardmaker's Starter Kit and popular for kids' projects, market stalls and School fetes. A great gift for Christmas or Birthdays.